In May 2017, SCoA made a submission to the Senate Committee on Strengthening Multiculturalism, which highlighted the importance of multicultural Australia and the role of the settlement sector in promoting and supporting Australia's culturally diverse populations. 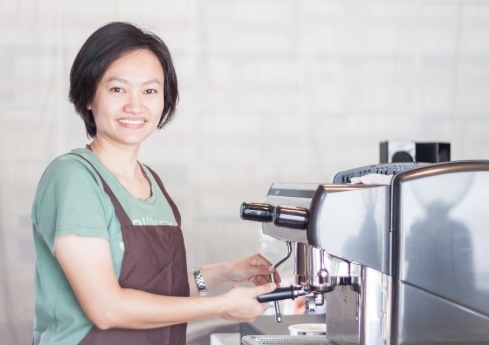 Australia’s migration program provides a crucial opportunity to achieve mutual long‐term benefits for Australia as well as the migrants whose entry it facilitates. For this to succeed, however, services must be adequate to support new arrivals as they settle in to their new homes. 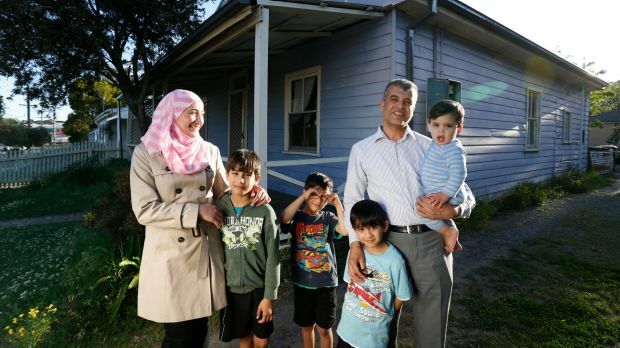 Migrants in Australia, including those from a refugee background, are well known for their tenacity, resourcefulness and commitment to Australia. However it is accepted that they face challenges in their relocation to Australia and, as a result, require specific services to ensure they are able to participate actively in the economy and in society more generally. Naturally, the level of services required differs greatly between different classes of migrant and, indeed, between individual migrants. Australia has a long and proud history of delivering services that are tailored to meet the needs of new arrivals in a way that is effective, efficient and achieves the best possible settlement outcomes. Submission released January 2017. SCoA has developed information which analyses the fundamentals of effective settlement in Australia. This paper aims to reach a deeper understanding of the role that migrants and humanitarian entrants play in the broader Australian community in order to develop a proper understanding of Migration in Australia. This briefing paper was released in November 2016. SCoA considers that the current provisions within the Racial Discrimination Act 1975 (Cth) (RDA), the subject of this Inquiry, provide a basis for respect and tolerance which are core to any community and are essential in a multicultural democracy. As such, on behalf of our members, SCoA urges the Inquiry exercise extreme caution when considering recommendations to reform Section 18C and 18D of the RDA. Submission released in December 2016. SCoA recognises and celebrates the enormous value that family migration contributes to Australia, often in non-traditional economic terms including providing social and emotional support and fulfilling family roles including childcare. This is especially clear in the settlement sector, where family reunion can play a vital role in the successful settlement of people from refugee backgrounds. This issue was the focus of our Issues Paper on Family Reunion, released in August 2016. Settlement services are already a sector with a competitive and contestable funding process and do not require further reform or investigation in this regard. The HSS, CCS, SRSS and AMEP programmes undergo a tender process, and SGP is funded through a competitive grants process. Further introduction of competition measures could be counterproductive to the Government’s current objective to encourage collaboration amongst these service providers. This submission was released in August 2016. This discussion paper builds upon the SCoA Discussion Paper Addressing Barriers to Employment. 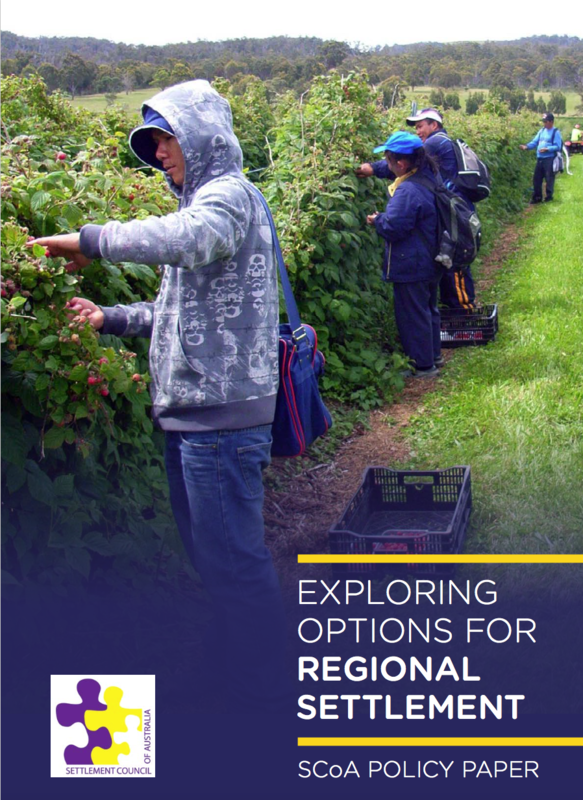 It provides a summary of the employment barriers faced by migrants and people of refugee backgrounds, recommends actions to overcome these barriers and provides a series of case studies highlighting settlement service provider’s best practices to overcome employment barriers for refugees and migrants. 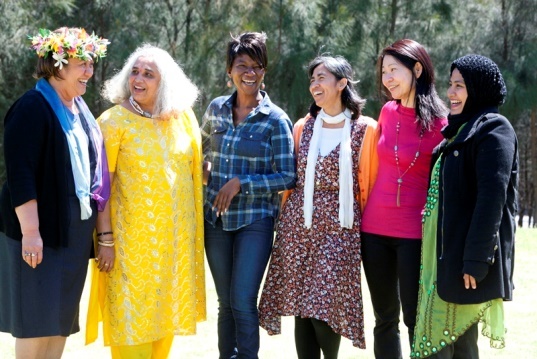 SCoA had played an active role in addressing issues of domestic and family violence in new and emerging communities. This included a range of workshops in 2017 in which we partnered with Lifeline to deliver DV-Alert seminars for the settlement sector. We are also an active member of the White Ribbon reference group for CALD Communities. We will continue to bring relevant and useful information to the sector on this crucial issue. For a detailed look at domestic and family violence, please see SCoA's 2013 Policy Brief, below.